7-Eleven introduced the convenience store concept to Australia in 1977 and today remains the worlds 1st choice for convenience. Our doors are always open providing the community with fast, friendly service in a clean, safe environment. Home to the world famous Slurpee, munch and the convenience products and services you have come to expect. In addition to selling blocks of ice to refrigerate food, Johnny Green, an enterprising employee, began offering milk, bread and eggs on Sundays and evenings when grocery stores were closed. This new business idea produced satisfied customers and increased sales, and convenience retailing was born. The company’s first convenience outlets were known as Tote’m stores since customers “toted” away their purchases, and some even sported genuine Alaskan totem poles in front. In 1946, Tote’m became 7-Eleven to reflect the stores’ new, extended hours – 7 a.m. until 11 p.m. seven days a week. The post war boom in America saw the massive expansion of 7-Eleven convenience stores across the country. Customers demanded choice both in products they wanted to purchase and the times they wanted to shop. 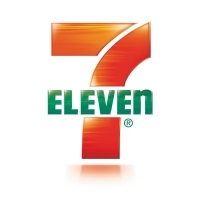 The first Australian 7-Eleven store opens 24th August 1977 in the Melbourne suburb of Oakleigh. The first 24 hour site opens in Brunswick, Melbourne and the first franchised site opens in another Melbourne suburb, Caulfield. Our first store in Sydney in Botany Road Waterloo opened on September 1st, 1981. The first store in Brisbane opened at Redcliffe in 1982. 7-Eleven Australia’s 100th store was opened in Sunshine. The first CBD store opens in Melbourne Central August 16th. 7-Eleven purchases Burmah fuel sites. 7-Eleven’s 300th store at 234 George Street, Sydney opened its doors to the public for the first time on Friday 11th July, 2003. The celebrity appearance of Freddo, Elvis and most notably Shane Warne were one of the major highlights. Store number 350 opens in Graceville Queensland. 7-Eleven celebrates 30 years in Australia. Awarded Franchisor of the Year . These days 7-Eleven is serving 96 million customers a year and achieving sales approaching $1.5b.